Amnesia: A Machine For Pigs was offered to The Chinese Room because original developer Frictional Games felt it wouldn't be able to come up with a successful sequel on its own. Amnesia: The Dark Descent was a big hit as indie games go and is seen by many as the standard to which other horror games aspire. It's also the game, as detailed in Thomas Grip's fantastic 2011 feature story about its development, that saved Frictional Games from oblivion. So why, you might wonder, would the studio hand development of the hotly-anticipated sequel to a completely separate outfit - Dear Esther developer The Chinese Room? "We felt that there was a huge interest in the game, but also knew we did not have an interest ourselves to sit down and try to figure out what a good next Amnesia would be," Jens Nilsson of Frictional told Gamasutra. "We had a quite certain feeling it would fail miserably." Uncomfortable with the idea of doing it themselves, the team decided to ask someone else to take a crack at it. Nilsson said that having The Chinese Room handle the follow-up was a "dream scenario" and when it accepted, a back-and-forth development process began. "We checked builds now and then and gave our input on it," he explained. "Then this year we got the final game from The Chinese Room, and we have worked with gameplay flow, bugs, performance and that type of tweaking and fixing to hopefully make their work be presented in the best manner possible. 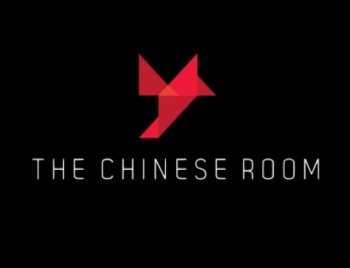 The Chinese Room also put in extra work during this time, and [we] somewhat reversed the setup, with them testing and giving their input on our progress." Nilsson said Frictional is very pleased with what The Chinese Room came up with, citing the art, level design, sound, music and writing as "really good stuff" and adding, "I think and hope there is a good balance of meeting expectations of what an Amnesia game should be and at the same time not be too much of the same." Our review of Amnesia: A Machine For Pigs can be read right here.